Vintage "The 1928" lady cameo, lady cameo, jet gold, acrylic stone, cameo, vintage. 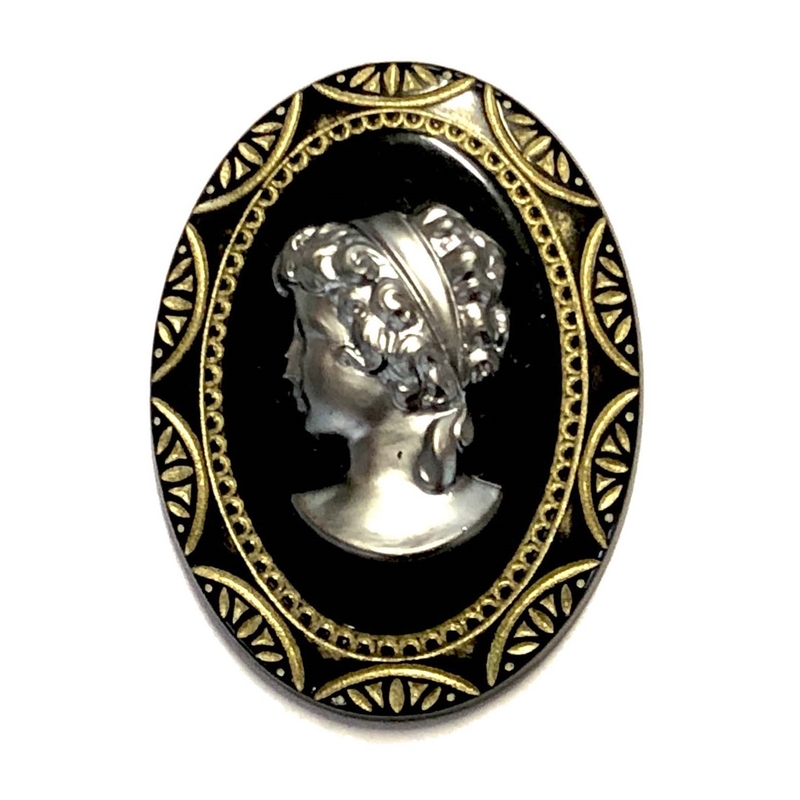 This beautiful young Grecian girl cameo, jet black and gold accents with gunmetal finish lady on top. Measures 40 x 30mm. Sold by the piece.